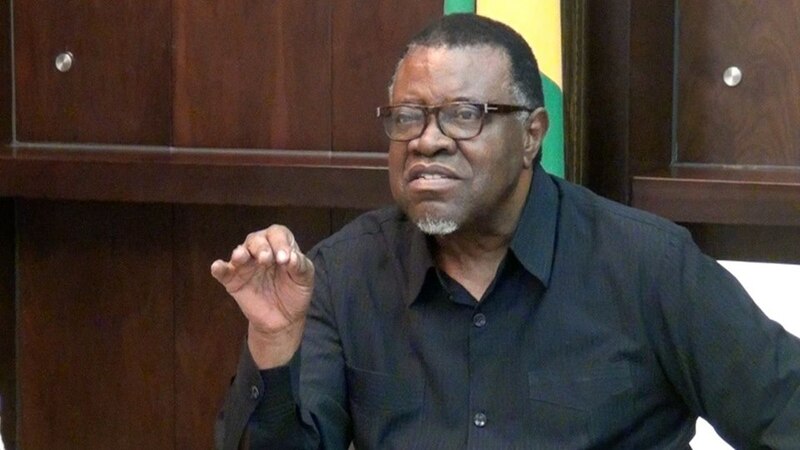 THE Namibian President, Dr. Hage Geingob directed that the one-hundred and sixty-nine resolutions that resulted from the Second National Land Conference held from 1 to 5 October 2018 must be turned into a viable implementation plan by the second week of December this year. The Namibian Cabinet endorsed the resolutions and directed the Ministry of Land Reform and other affected line ministries to develop an implementation plan of the Land Conference resolutions under the supervision of the Prime Minister and further directed that the submission plan should be finalised by 11 December 2018. Cabinet also directed that the implementation of the one-hundred and sixty-nine resolutions be carried out by the high level committee on land reform under the chairmanship of the Prime Minister. The Ministry of Land Reform must complete and share the full resettlement list with the Namibian public and to identify and purchase two farms adjacent to Aminius to relieve the pressure for land in the communal area. The Ministry of Education, Arts and Culture must declare of the dwelling place of Chief Hosea Kutako at Aminius as a national heritage site and that the dwelling place of the late chief must also be renovated and that a shrine in remembrance of his heroic role towards the Namibian struggle should be erected. The education ministry must also amend the engraving in front of the Genocide Monument at the old ‘Alte Feste’ building to recognise the Herero/Nama Genocide of 1904 – 1908. In the same vein, the Okahandja cemetery should be renovated and key graves be upgraded to monument status. A task team should be set up to identify a few historic shrines from communities country-wide who were dispossessed for construction of memorial sites and to revisit the display of the Namibian liberation struggle in the Independence museum to duly and accurately reflect all communities and groups that participated in the liberation struggle, in line with the principle of inclusivity. The Office of the Attorney-General in consultation with the Ministry of Presidential Affairs must develop draft Terms of Reference and propose candidates to be appointed as Commissioners for submission to the President by 16 October 2018. The Ministry of Land Reform, Ministry of Agriculture, Water and Forestry and the Ministry of Industrialisation, Trade and SME Development must carry out and urgent assessment of the status of resettlement farms and the requirements to improve productivity which must include provision of adequate water, agricultural equipment and seeds to turn around the situation. The various ministries must also ensure that Farm Ongombo West is turned around from its current dilapidated status in order to recommence with the export of freshly cut flowers to Europe. This should be done through partnering with skilled commercial farmers and the setting up of a cooperative and to accelerate the completion and renovation of abattoirs as well as construction of additional abattoirs in places such as Eenhana, Rundu, Opuwo, Katima Mulilo and Oshakati. The Ministry of Urban and Rural Development must commence with the process of drafting an Urbanisation and Spatial Development Policy to deal with the macro level questions. 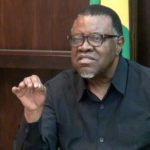 President Geingob tasked the Ministry of Finance to use the powers vested in it by the Public Procurement Act, 2015 (Act No. 15 of 2015) to accelerate directives that will allow farmers north of the cordon fence to provide beef and crops for the consumption in Government owned entities north of the red line. Those amendments should take effect on or before 31 December 2018. The Ministry of Safety and Security must commence with the task of enforcing laws prohibiting illegal fencing in communal areas. A sensitisation and consultation process should start before law enforcement agencies move swiftly to enforce the law without fear or favour. All illegal fence should be identified by 31 October 2018 and notice given to those committing the illegal act of fencing to remove such fences.